As a journalist, I get a lot of questions asked of me all the time. It is an unusual twist, because typically I am the one asking the questions. The questions usually revolve around best interviews, best stories and the like. However, I once received the question: “Where was the craziest place you ever conducted an interview?” Until last week, I didn’t have an answer for that one. 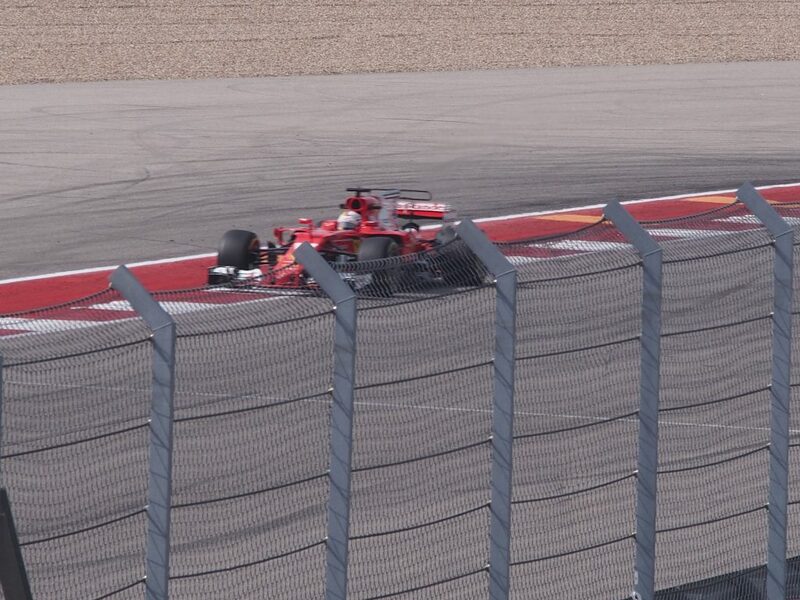 However, during the Formula 1 races at Circuit of the Americas (COTA) in Austin Texas, at the US Grand Prix, I sat trackside and desperately tried to record the answers to my questions as incredible Formula 1 racecars whizzed by with their loud Vrrrrrrrrrom sounds and powerful vibrations. When I listened to my recording afterward, it was almost as much fun as being there – with intermittent answers rushed in between frenzied and noisy racing laps. I was interviewing the North American head of IWC Schaffhausen: Edouard d’ Arbaumont. The Swiss watch brand is a partner of Mercedes-AMG Petronas F1 racing team, and driver Lewis Hamilton – who won the Grand Prix that day in Austin – is an IWC brand ambassador. In fact, Hamilton will be racing again this weekend at the Mexican Grand Prix – with hopes of winning that circuit, as well. 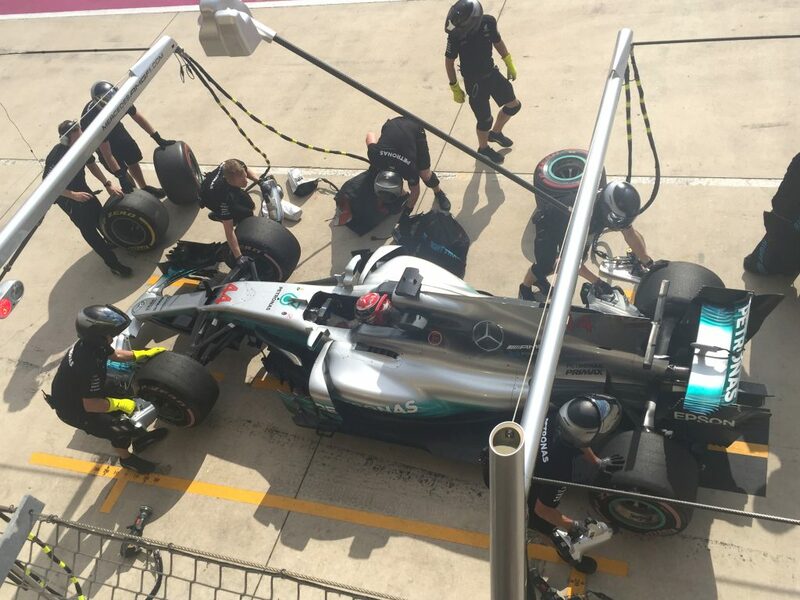 A three-time Formula 1 World Champion, Hamilton is on course to a fourth World Championship victory. 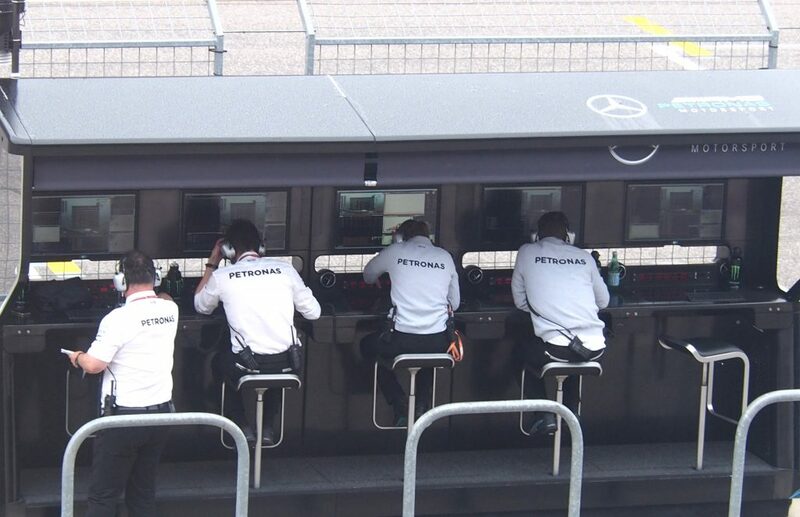 Throughout the racing weekend at COTA, we spent time at the Paddock Club, visited the Mercedes-AMG Petronas F1 garages and walked Pit Lane. If you have never been to a Formula 1 race, you need to go. This racing, the sounds of these powerful engines, are so different from Nascar or another racing in so many ways. It is one of the most invigorating and exciting experiences – and the US Grand Prix event at COTA is a shining example of a great Grade 1 FIA racing track. Set on 1,500 acres of land, the track measures 3.41 miles and has 20 intense turns, including a 133-foot hill at the first turn. 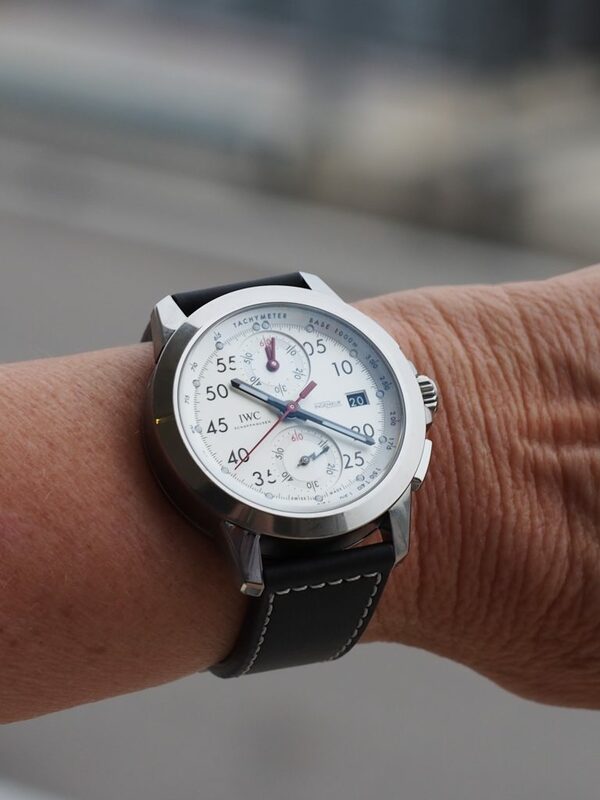 Even better than the racing (or at least, as good), was the fact that we few journalists joining IWC got the chance to wear different IWC watches while there, including the all-new IWC Ingenieur Chronograph Sport Edition 50th Anniversary of Mercedes AMG watch. The 44mm titanium watch houses an in-house-made self-winding chronograph. Additionally, the watch is equipped with a soft iron inner case that protects it against magnetic fields. The IWC 89361 caliber with flyback chronograph function and 68 hours of power reserve, features a white dial with red accents. 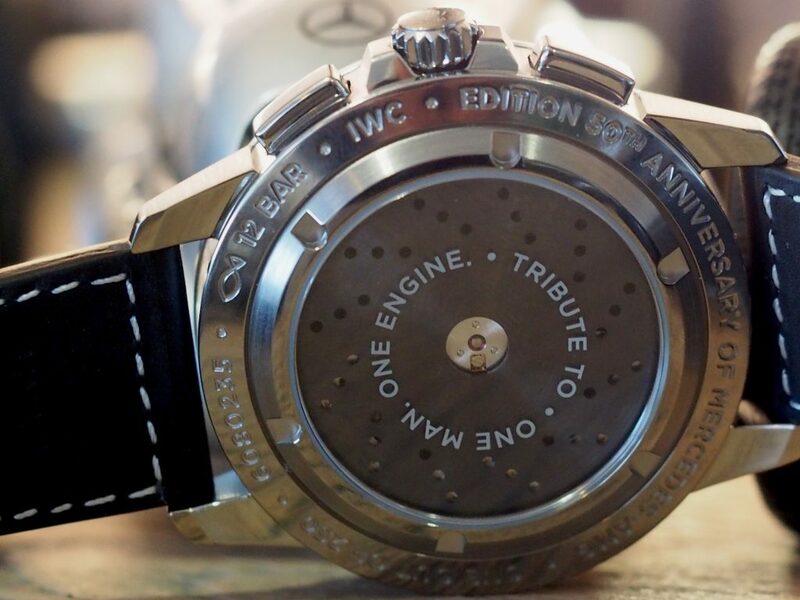 The transparent caseback allows viewing of the soft inner iron case, designed to resemble disk brakes, and engraved with the words: “A Tribute to One Man, One Engine.” Just 250 pieces of the new watch will be built, each retailing for $11,800. 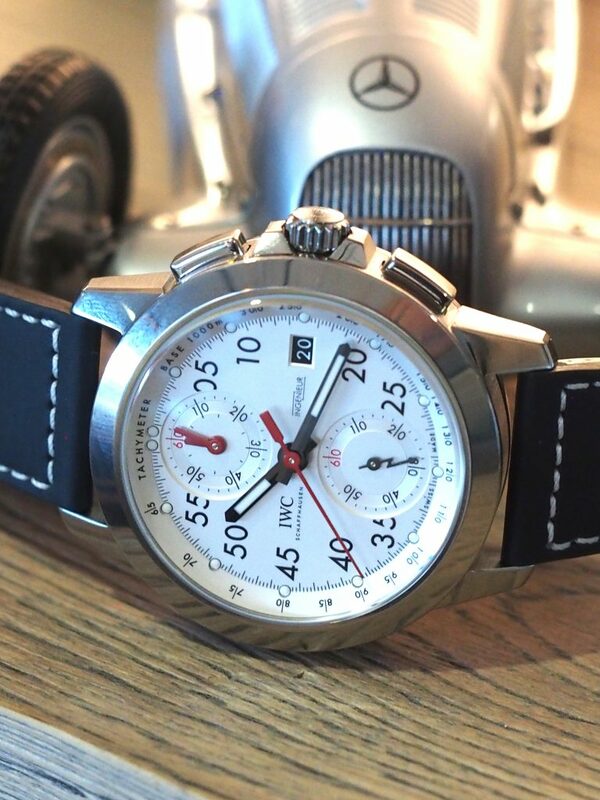 As mentioned earlier in this article, we had the chance to spend some quality time talking with IWC’s d’Arbaumont, and we will bring you that interview soon. Stay Tuned.